Unless otherwise noted, all ACRM Community Group Meetings held during the Annual Conference are OPEN to all attendees. In fact many groups are actively seeking leaders like you. Participate! 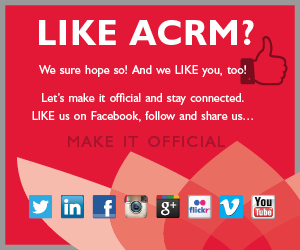 You are wanted & welcomed at ACRM. 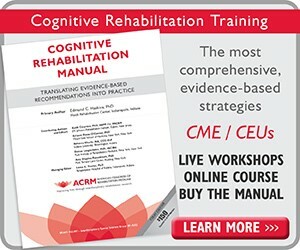 All non-member attendees will receive a 6-month introductory ACRM membership with registration. Put your benefits to work right away by participating in ACRM interdisciplinary special interest and networking groups. 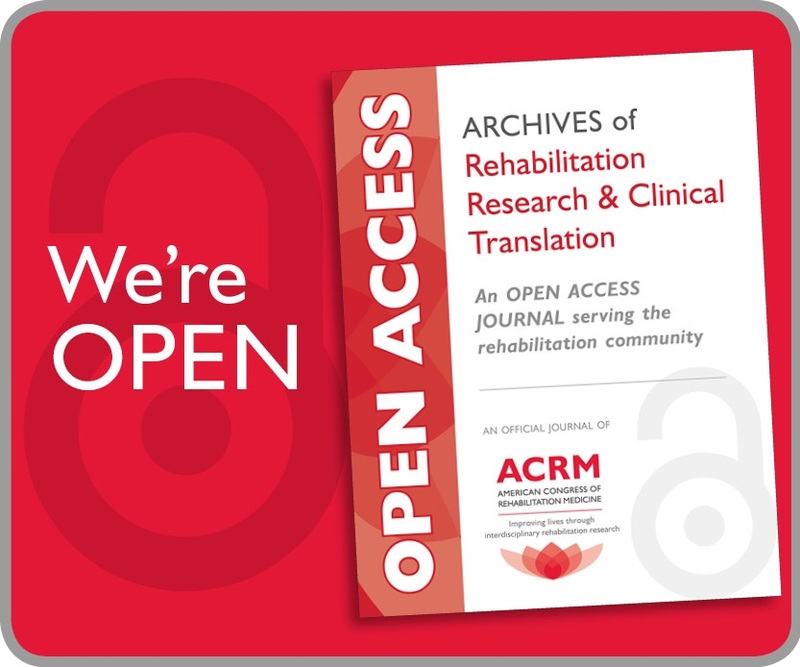 This is THE PLACE to connect and collaborate with your peers; meet potential mentors, funders and employers; and contribute to the ACRM mission to IMPROVE LIVES through interdisciplinary rehabilitation research. 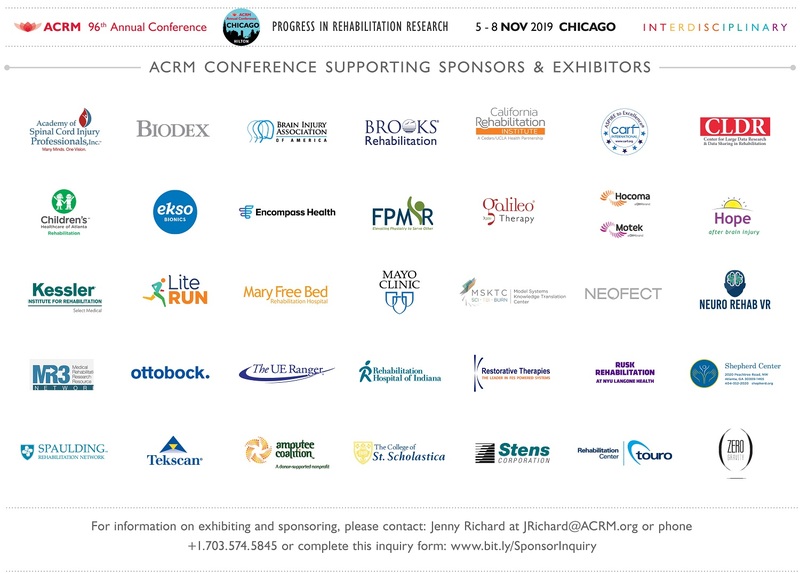 Bookmark this page and check back often to learn about the groups planning to meet during the 2016 ACRM Annual Conference in Chicago. 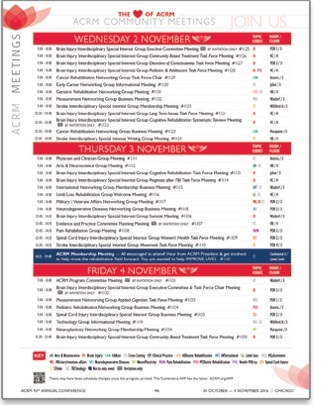 *ACRM meetings for community groups (Interdisciplinary Special Interest Groups ISIGs, networking groups, task force and committees) are currently being scheduled for Tuesday – Saturday, 1 – 4 November. Many MORE meetings are yet to be scheduled. Check back often for the latest information. The dedicated volunteers working within ACRM committees and groups are *the* primary driving force advancing the mission of ACRM. Each interdisciplinary special interest and networking group is a unique community where like-minded, yet specialized health care and research colleagues collaborate to IMPROVE LIVES. Meeting dates and times are subject to change. Please check the ACRM APP for the latest.